Super saloon marketed to the extremely wealthy. Big money. Not immediately in production. 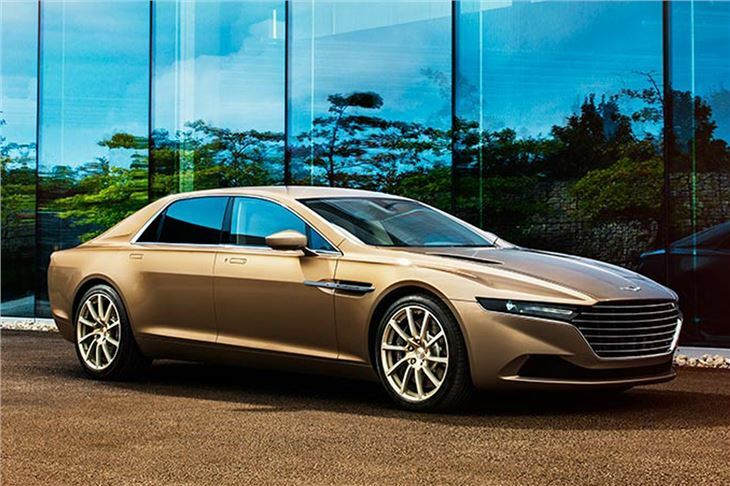 The Lagonda Taraf is now available to clients in EU legislation-compliant Continental Europe, the United Kingdom and South Africa, with the Lagonda Taraf now re-engineered to be available in either left or right-hand drive. Having been launched in Dubai in late 2014, the Taraf was initially available only to buyers in the Middle East. It is still being built in a strictly limited small series of no more than 200 cars.